Use to set off a nonessential clause. to lack the time for writing manuscripts. - Generally speaking, this is sound advice. Comma, continued Use to set off appositives or interrupting words. - Alzheimer's disease, named after Dr. Alois Alzheimer, is the most common form of dementia. Use before "and" or "or" in a series of at least three items. - The nature, intensity, and relationship to trial medication of each adverse event were reported. - Any patient willing to continue with treatment, showing tumor regression, or exhibiting disease stabilization was included in the study. Hyphen - Use to link two words jointly modifying a third. - a pale-yellow granular substance; a single-center, double-blind clinical study, low-quality raw material. NOTE: Do not hyphenate word combinations involving adverbs. - The dentist's chair was re-covered. Use in spelled-out compound numbers. - twenty-one to fifty-five times Use with number modifiers. - a 20-year old subject; a 2-year study Use in words containing a prefix or suffix. NOTE: Hyphens are no longer necessary for prefixes such as intra, inter, pre, post, non, re, sub, except if two vowels meet. Use to link two independent clauses if a sense of "anticipation" is appropriate. - There are a number of test kits available; however, the standard products are used in most cases. NOTE: Semicolons should be used sparingly. Unless absolutely necessary, use comma or period (full stop) instead of semicolon. Use only if a sentence or paragraph introduces the text that follows. NOTE: Do not use colons within sentences. NOTE: To a plural not ending in "s," add an apostrophe and an "s."
Use with units of time or money if applied as possessive adjectives. Use to indicate "and," "or," or "per." Use to highlight a term. - The term "pyrexia" replaces the word "fever" throughout the report. NOTE: In English, both quotation marks are placed above the word. Use to enclose a direct quotation. - The physician asked, "How are you feeling today?" NOTE: If you quote material exceeding four typewritten lines, set it off in a block using reduced type size and omit the quotation marks. Place periods and commas inside quotation marks. - All students had read "Faust." 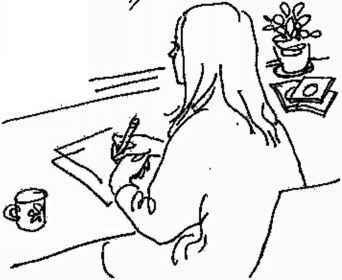 - Use the "Instructions for Authors," as they tend to give good advice. Place semicolons and colons outside closing quotation marks. Place question marks or exclamation points inside quotation marks only when the quotation itself is a direct question or an exclamation. Otherwise, place these marks outside. The physician asked at regular intervals, "How have you been since the last visit?" - She looked at her students and said, "As my teacher always pointed out, 'Scientific writing can be fun!' "
Use to indicate omission of one or more words, lines, paragraphs, or data from quoted material. - The results indicated ... good agreement between the two methods used. - All differences tested were statistically significant . .